Metrics can help you benchmark your site against a competitor’s, or track the improvements you’ve made with repeat rounds of testing and improvements. Combining these metrics with the qualitative insights you get from your user videos will make you an unstoppable UX legend (probably)! Note: UX metrics are generated from the Task user instruction type. Learn more about different user instruction types. Quickly identify how many users have successfully completed each task with Task Completion Rates. The graph shows you, on a task-by-task basis, how many people successfully completed a task, how many were unsuccessful, and how many were unsure if they completed the task. The Task Completion Rate is based on users self-reporting their success. Tip: you can use this metric to quickly focus in on the tasks that users could not successfully complete, and find out why. 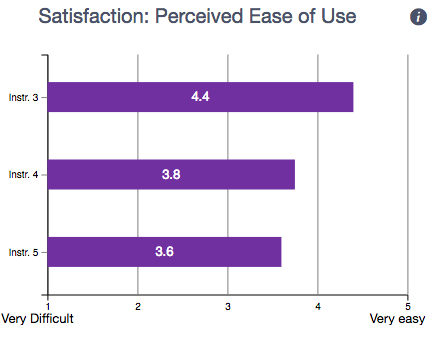 This metric measures how easy your users felt it was to complete a task with a Perceived Ease of Use rating. Users are asked to rate on a scale of 1-5 how easy it was for them to complete a task, with 1 being Very Difficult, and 5 being Very Easy. 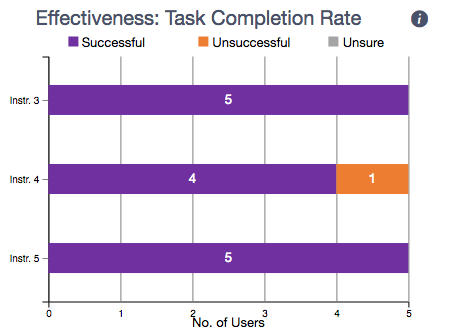 The chart summarises overall how easy your users found each task. 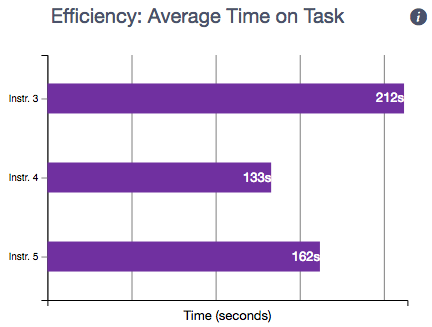 With the Efficiency metric, you can measure the time users take to complete each task. The graph shows you how long, in seconds, users took on average to complete each task.